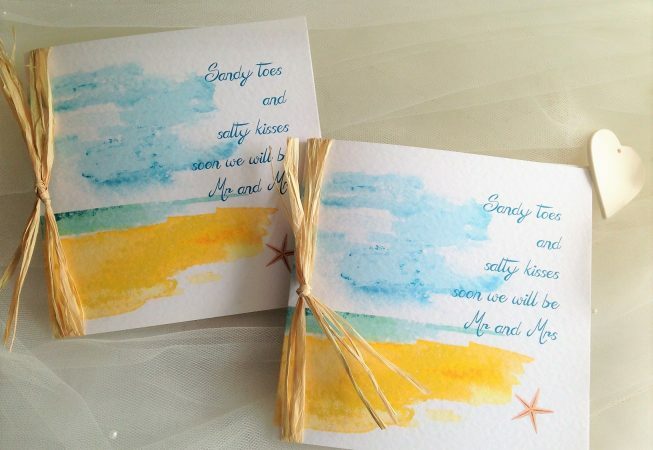 Beach wedding invitations for couples getting married abroad or having a seaside or beach themed wedding. 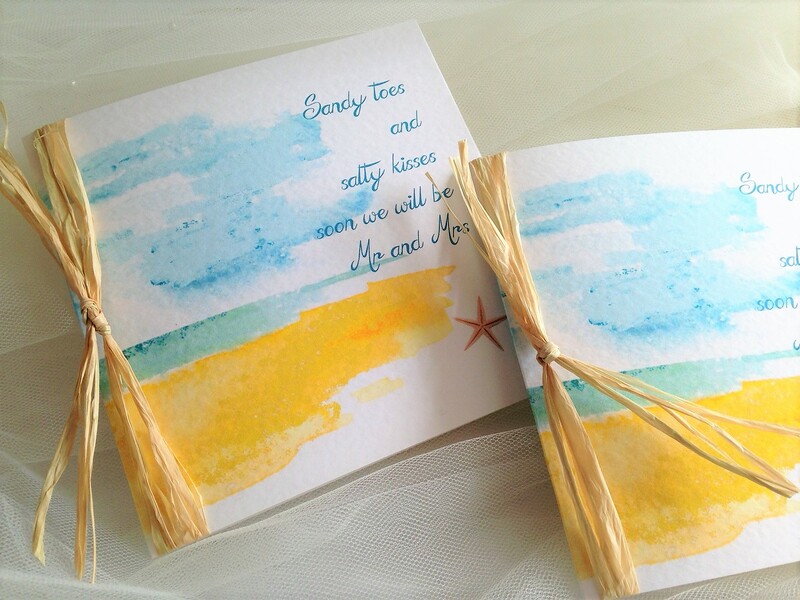 A beautiful seascape watercolour backdrop featuring a striking star fish and finished with tropical raffia palm tree leaves tied to the side. 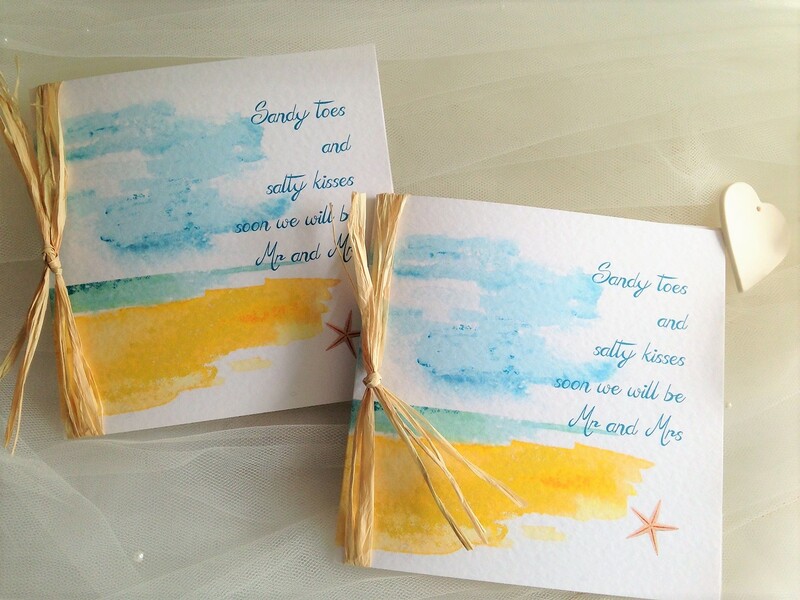 The starfish and raffia theme can be incorporated into other items and decorations for your wedding day. 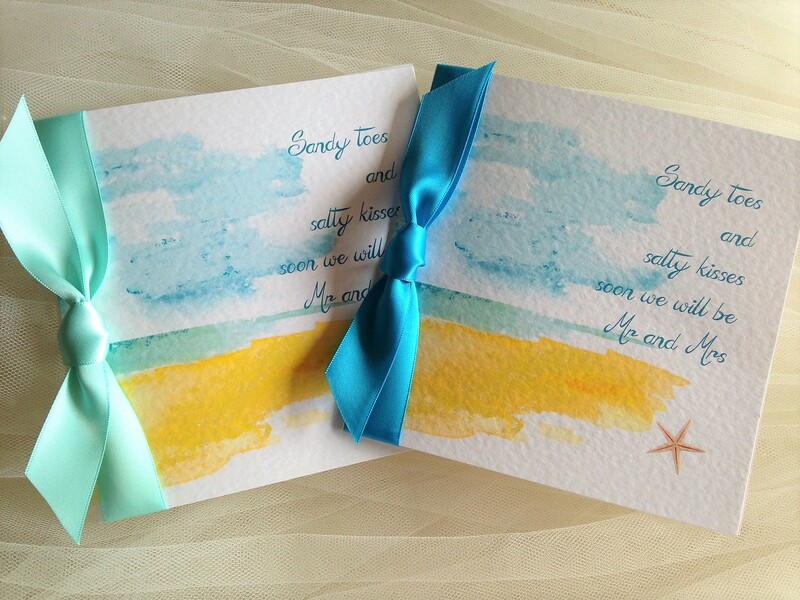 Alternatively this design is also available with satin or organza ribbon. 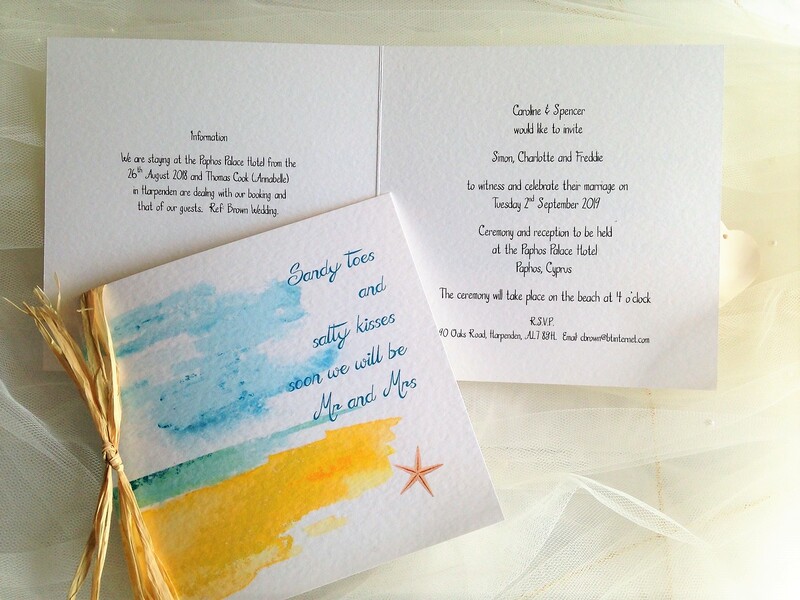 Our Beach wedding invitations are printed on a large square centre fold invitation card and are supplied on a thick heavy weight (270gsm) hammered card they are available in white or ivory.